To make our sweet home even sweeter, we can always work on improving the home decor. There are so many ways to that and since the Internet is having huge impact on our every day life, it means that we no longer have to spend tens and hundreds of dollars on decorations. Thanks to the DIY tutorials, we can try making so many stuff for home – picture frames, garlands, wall decorations, the list can go on and on. 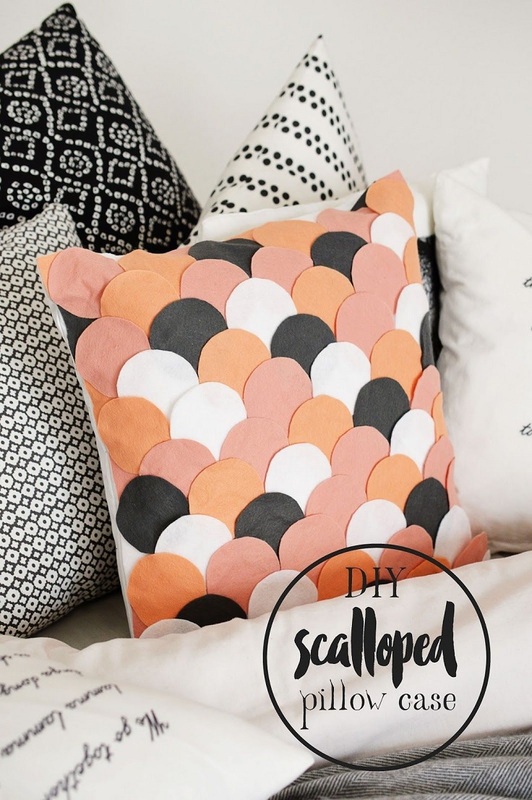 In this article we are covering how you can improve and make the regular pillow cases prettier. Some of these require sewing skills, some don’t. It’s up to you to choose your favorite and start doing it yourself! Tassel trims look so cute, so why not make a pillow case like this one? Buy the following materials pillow case, tassel trim, glue gun, glue sticks, scissors and cardboard. Use the cardboard to place it inside the pillow cover to avoid gluing the pillow. Start gluing the trim and you can do it on four different sections. 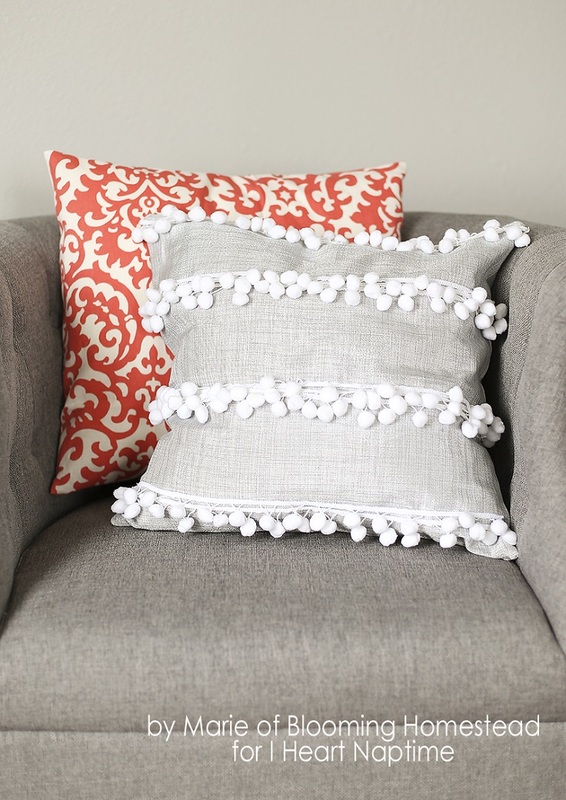 Let it dry and voila, you just made your own pillow case with cute tassel trims! Don’t know how to sew? No problem, we have picked some pillow cases that don’t require this skill and still look awesome. If you like this scalloped pillow case, make sure you have a pillow case, felt, pencil, scissors, small drinking glass and fabric glue. Use the drinking glass to make circles on a piece of felt and trace with the pencil, meanwhile trying to make as many circles possible on one sheet. Arrange the circles around the pillowcase and cut other circles in half to fill the gap on the sides. Glue them and let the pillowcase dry. 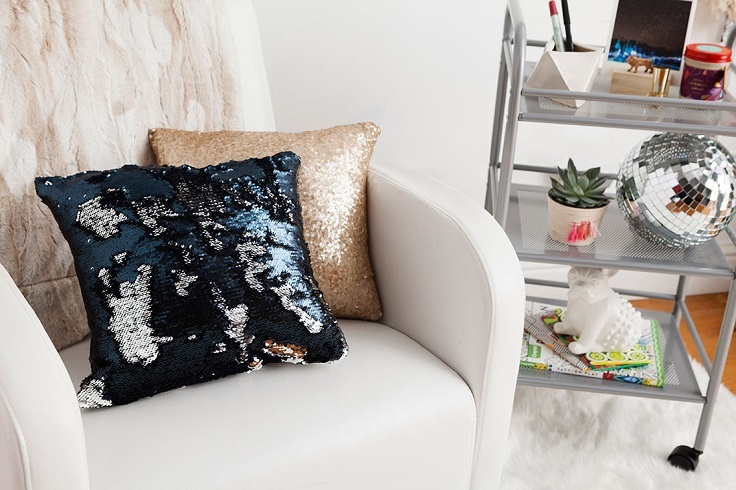 Sequins have certainly their own charm, so including them in your living room or bedroom can be the perfect idea. The mermaid pillow that got popular few months ago can be turned into homemade pillowcase with you saving money, yet still getting what you want. You need 1 yard of mermaid sequin fabric, scissors, sewing machine, thread and needle, sewing pins, ruler or measuring tape and pillow insert or fiber fill. You will definitely see what change can sequins make! If you are a fan of colorful, floral and vintage designs, then we are sure you are going to like these pillowcases for you. You just need three different printed fabrics and basing sewing supplies. Of course, you need sewing skills for these pillowcases. 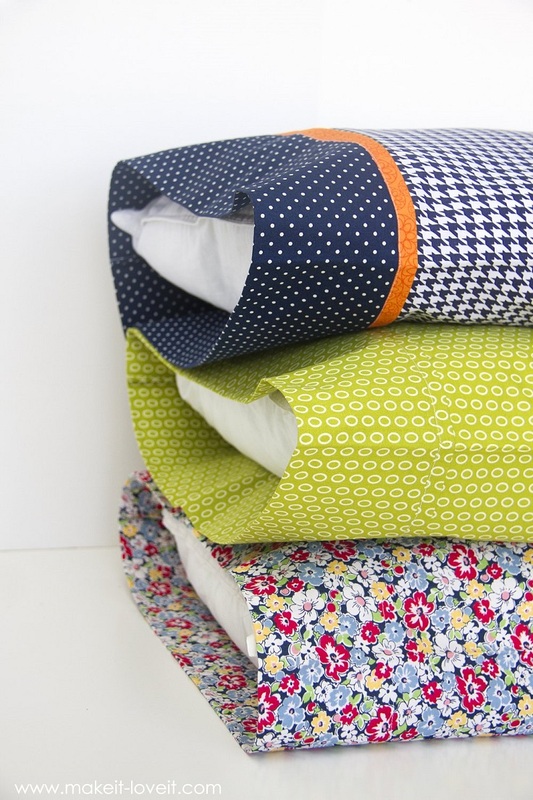 If you’re not new at this, making these pillowcases would seem as easy as pie. They have so called French seams, so adding a little European charm in your bedroom is going to make your living room as your new style inspiration. This is one truly easy DIY project that will take you very short time to make it. Before you start, make sure you have fabric (enough to cover your pillow), pillow form, fabric fuse, iron, ironing board, measuring tape and scissors. You will need to make an envelope pillowcase, but it’s not a big deal at all, just follow the instructions on the link below the picture. This is an ideal project if you don’t know how to sew or you just don’t like doing it! Having an amazing pillowcase doesn’t mean too many decorations or patterns, it can just mean a white pillowcase with some unique embroidery. If you like this “his and hers” pattern, you can download it on the original website. After that, print it out and use transfer paper or marking pen to transfer it. Trace the design with a disappearing ink marking pen and embroider the pattern. The rest is just making it even prettier. Don’t wait for Valentine’s Day to make these romantic pillowcases, make them ASAP. 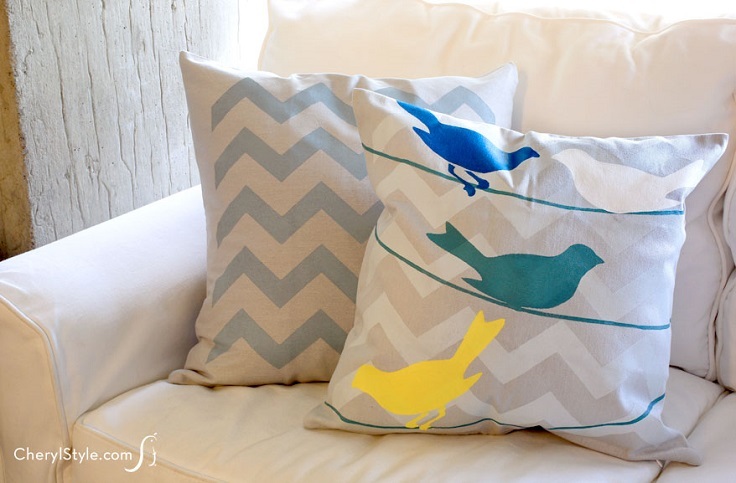 For a pillow lover, having one or just few in the same color or pattern can get boring after some time. 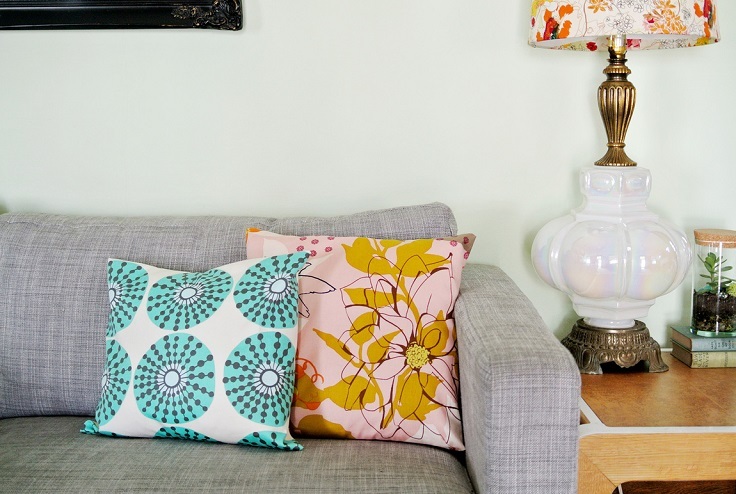 The best way to always feel like you’re having the right pillows is to have more in different patterns. This DIY project is exactly for that purpose. It is showing you how to handle three different patterns and fit them in your bedroom. It requires sewing skills and basic sewing supplies, so check if you have anything you need before starting this project. Watercolors can be the perfect supply with almost every DIY project. They really help in achieving some artistic look, plus they are cheap to buy and you don’t have to be the world’s greatest artist to paint something with these colors. 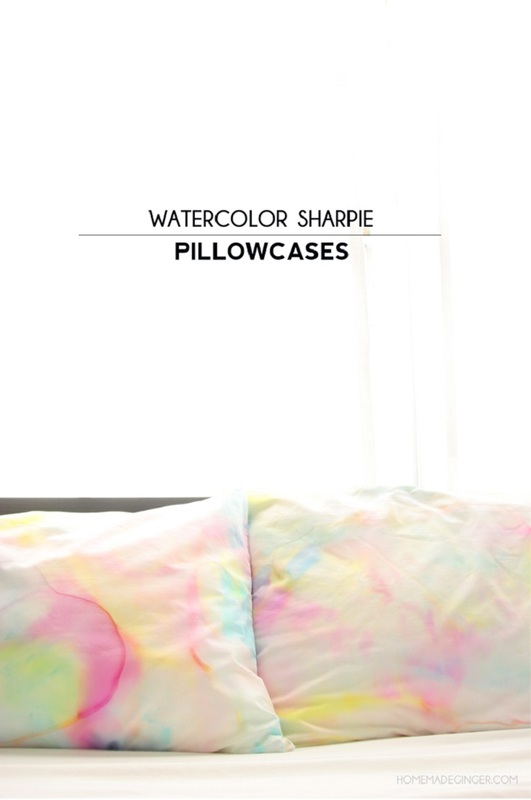 But, in this case, it’s sharpies that have this watercolor effect. 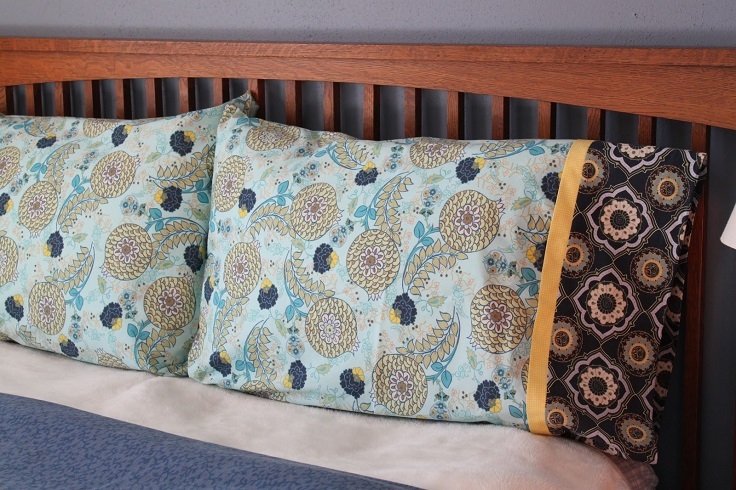 It’s simple, so why not give it a try with pillowcases. Besides the sharpies, make sure you have rubbing alcohol, white pillowcases and spray bottle. This project will wake up your inner artist and help you decorate your bedroom. Try decorating with stencils – you won’t regret. The pillowcases on the picture prove how adorable can it get! If it convinced you, here is what you need to have: cardboard, grey 18×18 Tulip pillow cover, Branch medium textile stencil, Chevron large textile stencil, Tulip stencil spray adhesive, paper plate, paint roller, pencil, thin paint brush and tape. This is another way to try something more artistic. These pillow can also be used in the living room as well. We’re back to the love side. 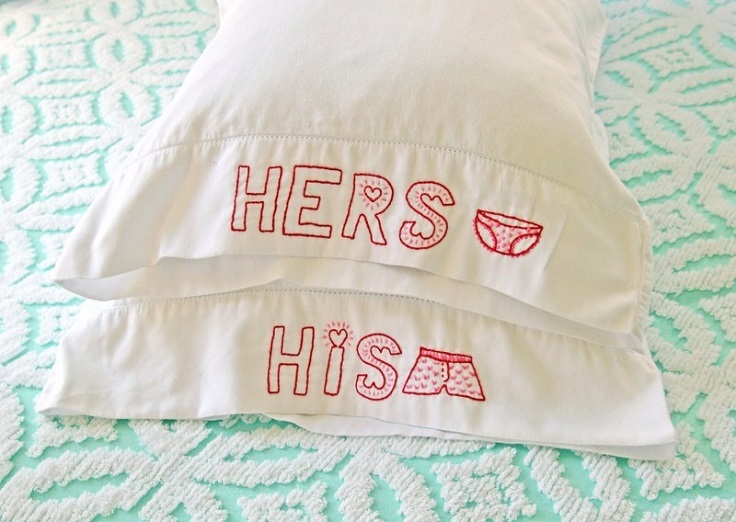 We previously say “his and hers” pillowcase with embroidery, but this one has something else for us. These are the perfect pillowcases to remind you every morning and night of your beloved one. Who needs jut Valentine’s when you can feel loved for the rest of the year? 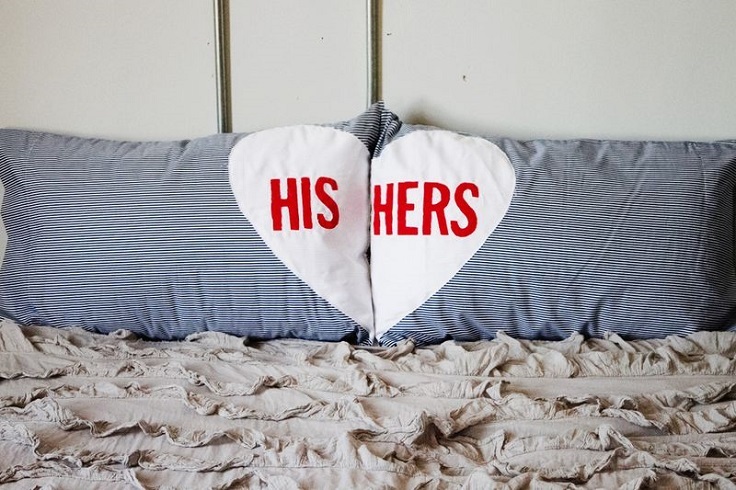 To make your own “His and Hers” pillowcases, you need red and white cotton fabric, adhesive letters and basic sewing supplies, such as sewing machine, scissors and sewing pins.